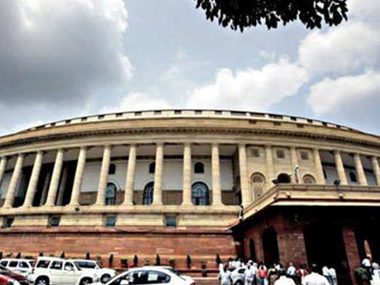 The Congress party has finally agreed for a five-hour debate in Rajya Sabha on the crucial GST Bill (Goods and Services Tax Bill), which brightens the hopes for the passage of the key piece of reform in this session. This is a crucial development since passage of GST, seen as the biggest tax reform in a decade, has much more weight if passed with unanimous support of all parties including principal opposition Congress, than the ruling Bharatiya Janata Party (BJP) merely winning the number game. Passing the constitutional amendment is only the beginning of the process. To implement the uniform tax regime, the government will require the support of all states including the Congress-ruled ones. Given the magnitude of change GST will bring in to abolish India’s convoluted tax infrastructure and its consequential near-term pain on certain sections, it is critical that Congress be on board of the GST bandwagon. While the agreement of the debate is indeed a positive sign, the Congress has put forward a condition that the BJP should reach out to all opposition parties and give a written offer on how to address the three demands it has posed for consensus on the Bill. These are inclusion of the GST rate in the constitution, doing away with the 1 percent inter-state levy and the creation of an effective dispute resolution mechanism. This is where the BJP should jump in and do what the Congress asked, precisely. Let’s be clear on one point. The Congress is only trying for a graceful surrender in the GST battle. The party has already indicated that it is willing to give up the demand for inclusion of GST rate in the constitution and is amenable for an alternative mechanism to ensure the standard GST rate doesn’t shoot through the roof if assured by proper rules that are weaved into the Bill. The white flag has been raised twice by senior Congress leaders, Anand Sharma and Jairam Ramesh. Also, there are apparent differences within the Congress party itself on the GST. According to this Business Standard report, which has quoted an unnamed source, the Congress in the Rajya Sabha is divided into those who were pro-GST and others indifferent to its passage. Also, many of the regional parties who had earlier held reservations on GST is now batting for the Bill playing the ‘interest of the nation’ card. That makes Congress isolated and vulnerable in the Padmavyuha, whose boundaries have been breached by the enemy and the remaining allies have deserted it. This is exactly the position where the BJP and the Congress is positioned in the GST war. Clearing GST is the trump card for BJP in the 2019 general elections when it will have to confront the question of big-bang reforms. The BJP-government has managed to keep up the pace of incremental reform steps across segments, although by emulating what the UPA has done through a number of schemes in the areas of subsidy reforms, bank account opening drive, encouraging small entrepreneurs and opening up doors for further foreign investment. But, beyond these steps, it doesn’t have any big-ticket reforms to show on its performance card yet. To make India, the world manufacturing hub, as Prime Minister Narendra Modi envisages, the government’s first and foremost job is to unclog the country’s convoluted tax regime once and for all. As the next step, it should make it easy for foreigners who want to invest in India to gets access to land, power and a level playing field in operations (doing away with the idea of protectionism, except wherever is necessary) and freedom from archaic rules. A combined progress on all these fronts will take India to the next level of growth and help generate jobs for millions of skilled youth joining the workforce every year. The fact is that, beyond the housekeeping issues, the only productive part that one looks at from the Monsoon session of Parliament is GST. If Modi misses the GST battle in his term, he will be termed as a loser internationally on the reforms-front, no matter what the domestic perception is on the progress on incremental reforms such as subsidy streamlining. One cannot even rule out the negative perception of rating agencies on sovereign ratings if India fails to pass the GST test. In November, 2015, global rating agency, Standard and Poor’s had warned that India’s rating would come under stress if the country fails to get its fiscal deficit under check and push ahead the key reforms, especially GST. The global credit rating agency would formally review India’s ratings in November 2016, and monitor the reform process, S&Ps Rating Services India Sovereign Analyst Kyran Curry had told PTI. “The ratings could come under stress if we see that government is backing away from reform commitment and fiscal deficit is not in control,” Curry said. Whether the Congress gets credit or the BJP for GST is only a concern and a matter of interest for Indian politicians and the local media. But for the outside world, this is a reform that is pending in Asia’s third largest economy for around eight years and something on which India has missed the April 2016 roll out deadline already. The next deadline for the roll out is April, 2017. Even after the Centre passes the amendment, state assemblies have to pass it separately and prepare the ground for its actual implementation. Not just the S&P, even the World Bank had warned theNarendra Modi-government early this year on GST. “Failure to pass the Goods and Services Tax (GST) bill by Parliament could hamper the Indian government’s ability to ramp up spending on infrastructure. “A failure to pass the Goods and Services Tax could hamper the government’s ability to ramp up spending on infrastructure needs and preserve the status quo of fragmented domestic markets,” the World Bank said in its latest report Global Economic Outlook in January. If the BJP delays or hesitates to reciprocate to the Congress demand for truce on GST issue now, the latter will get an upper hand and the Modi-government will be blamed for its failure to act on time. It is indeed time for the BJP to invoke the Chanakya Sutra and finish the GST war.